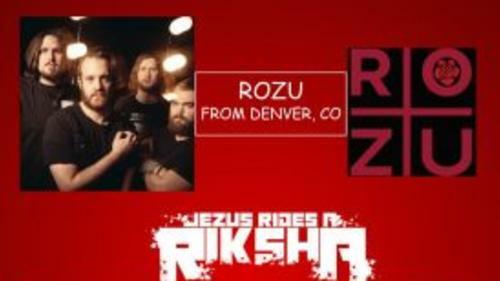 Rozu from Denver, CO, Mynas from Las Vegas, NV, Jezus Rides A Riksha from SLC, Ut, and Space Cruizers from Ogden, Ut! 9 PM, 21+, $5 at the door. 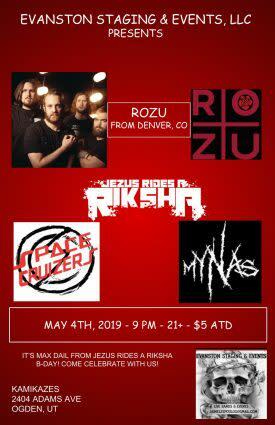 Come join the birthday party for the drummer, Max, of Jezus Rides A Riksha birthday!